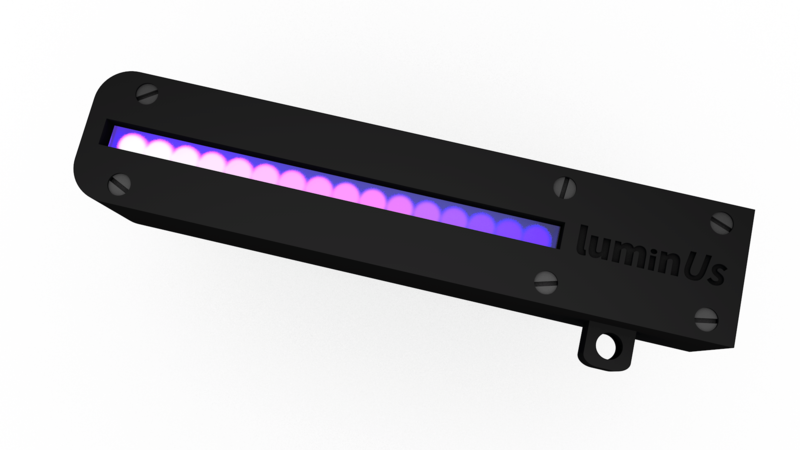 The LuminUs consists of a strip of individually controllable LEDs which provide visual feedback to the musician. The LuminUs is a visual feedback device for collaborating musicians. Using eye tracking technology and motion sensors it is able to tell each musician when their co-performer is glancing towards them, or allow them to visualise their co-performer’s motion. The device was developed as part of my PhD research, looking into ways in which new technologies could support the non-verbal social and affective communication between performing musicians. A recent publication on it’s use can be downloaded here. The eye tracking technology which we use to gather real-time data on the gaze of the musicians.